Join the OvR Crew when we join our friends at the Burton NYC Shop Thur. 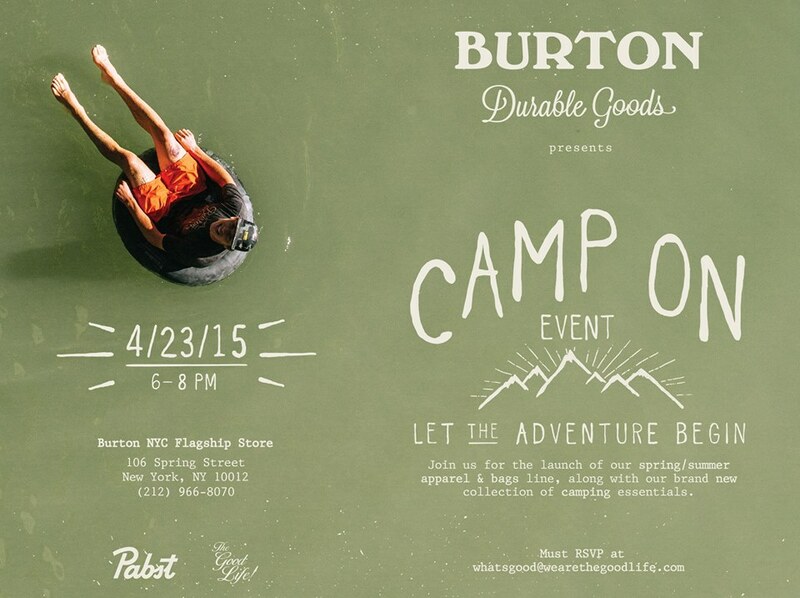 April 14th, from 6-8pm to celebrate the move of the Burton Flagship NYC Store! Although a new store promises to open (literally right around the corner) before next season, this marks the end of an era for the Soho crew and Burton space as we’ve known it. So get out and celebrate!!! Let’s rock Burton Soho one more time and celebrate this shop and crew as we’ve come to know and love them!. Drinks, appetizers and the deepest discounts on your favorite gear before we move! This entry was posted in Chris's Blog, Events, Gear, News, Uncategorized and tagged Burton, Burton Camp On, Burton Flagship Store, NYC, party. Bookmark the permalink.